The WORCESTER PARK Blog :: They’re Gone! The squatters who took over the old bank chambers which was also at the centre of the proposed Mosque controversy were evicted this morning. 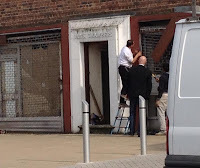 At around 11:00am bailiffs arrived at the building with police and private security guards and proceeded to enter the building which has been occupied by squatters since the beginning of April. 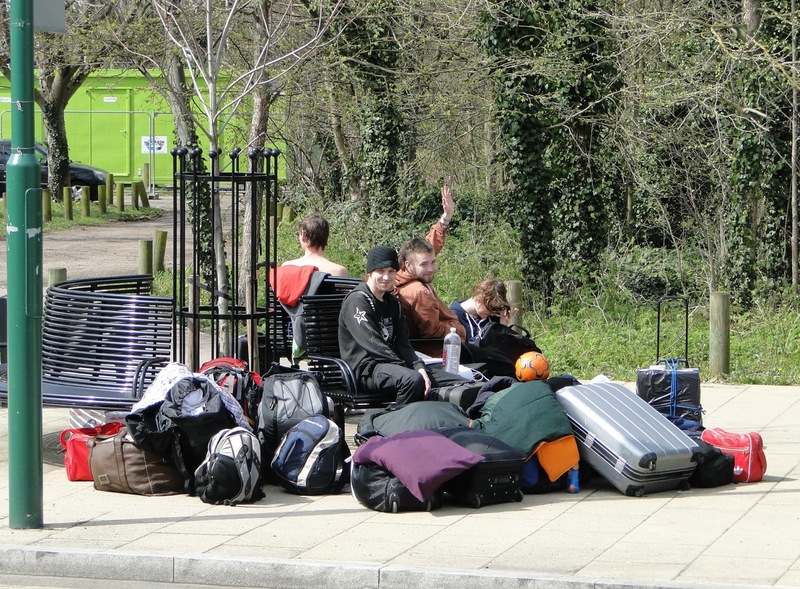 The squatters were politely asked to leave and did so, taking their belongings and piling them on the other side of Green Lane where they have spent much of the day. The building is now being guarded 24 hours a day by a private security company. The squatters which are now understood to have included ones from Victoria House apparently left the inside of the building in a very messy and unpleasant state. There have been reports of the strong smell of drugs left inside the building. 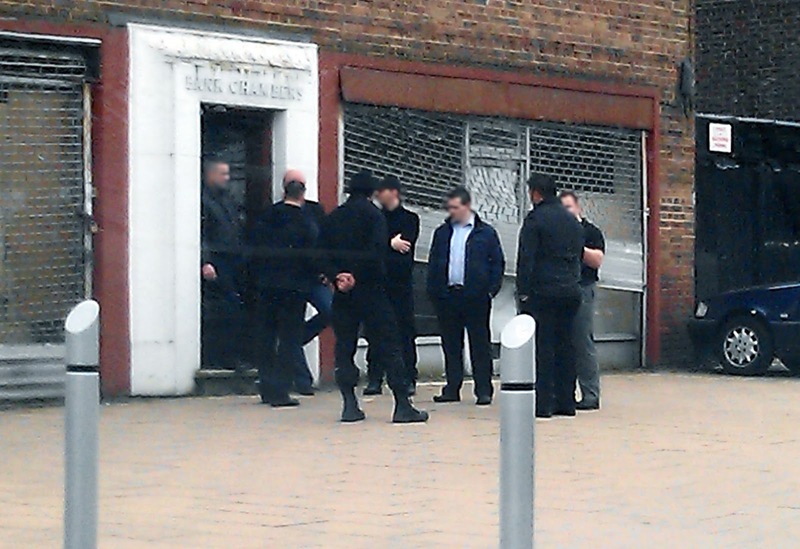 Well done the owners, police and bailiffs for sorting this out so quickly! Thanks to several blog readers who contacted the blog and also supplied some of the pictures.